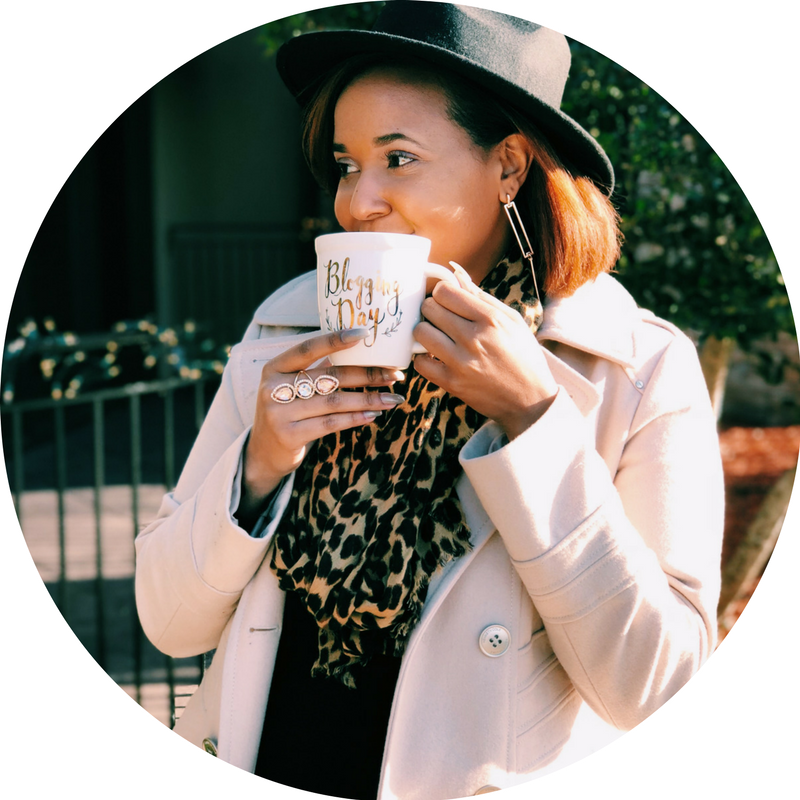 Woman of the Month: A Dash of Tiffany! I would like to introduce you all to our August Woman of the Month, Tiffany Shivers! Tiffany is the creator of the blog Blaque & Blue. She is also an advocate for mental health awareness. Through this platform, she focuses on "connecting women of color to mental health advocates, resources, tips, events, and other women who are traveling along their mental health journey." Tiffany has a powerful story and I cannot wait for you all to read more about her! Tiffany Shivers: To start, I am a small woman with a very big heart. I have always had a passion for helping others and community development. In early 2016, I founded Blaque & Blue, a media platform dedicated to educating women of color on mental health and emotional wellness. As a mental health advocate, I believe it is so important that our communities know and understand what having a mental illness really means and treatment options. When, I am not advocating for mental health, I love to read, to write, and to be in the presence of good company. ADOM: How has Blaque & Blue (assuming that you mention it in question 1 lol), given you a platform to help other women and even yourself? TS: Blaque & Blue was a response to a deep depression I went through. I had the perfect life, but for some reason I did not feel like I was really living. Each morning, I would wake up and just float through the day hoping that an ‘Aha’ moment would slap me in the face, but it never did. I felt so lonely and lost in life. I held my sadness in for so long that one day I just burst from the pressure. After everything I went through with my mental health, I did not want another woman to feel as lonely as I did so I created Blaque & Blue. When I first started my mental wellness journey, there were resources, but none that I felt were specifically for women of color. I wanted to inform and educate women of color about mental health while giving them a supportive network. With B & B, women are given a platform to help others during their journey by sharing their resources and stories through guest writing. At the end of the day, even I find myself learning so much about mental health and I have met some amazing women along the way. ADOM: How do you define women empowerment? TS: Women empowerment is all about uplifting each other. There are so many people in this world against us and want to see us fail. I think it is so important that we continue to build each other up rather than breaking each other down. There is enough time, energy, and resources for us all to be successful and happy in this world so let’s do it… together! ADOM: Aside from Blaque & Blue, how do you use your talents and gifts to empower other women? TS: In addition to Blaque & Blue, I love to serve my community. Prior to moving Blaque & Blue to L.A., I was a mentor for a young woman, a chair on a board that aims to eradicate homelessness in the Chicago community, and an avid volunteer. I think it is so important to always give back and be a positive role model for other young women in our communities. ADOM: What can we expect from Tiffany in the future? TS: Honestly, I would love for Blaque & Blue to be the number one media platform for women of color to share their mental health journey, connect with other women of color, and share mental health resources. I want women to feel secure and educated as they go through their journey. We are also looking to expand our team. Right now, we are in search for bloggers and mental health and wellness advocates to submit their articles to be published on the site as well! I am looking forward to continued growth and learning. ADOM: What advice would you give to young creators who are trying to leave their mark in the world? TS: When I first started the site, I was a lost puppy. I did not know what was going, how to get the word out, or what my strategy would be. I would compare myself to other organizations and people. Some days, I would get so depressed, because I thought the site wouldn’t work out or that someone had the same idea as me. One day I was reading a book called “You Are a Badass: How to Stop Doubting Your Greatness and Start Living an Awesome Life” by Jen Sincero. It hit me so hard, because I was moping around about to quit, but if I quit I would be robbing the world of my greatness. Seriously, if there is only one thing you do in life, please believe in yourself. There will be times when you are down, but if you believe in yourself and your greatness, you will succeed. To keep up with Tiffany, click to follow her on Instagram, Twitter & Facebook! She is also on SnapChat @blaqueandblue! Check out her blog at www.blaqueandblue.com! Woman of the Month: A Dash of Kris!